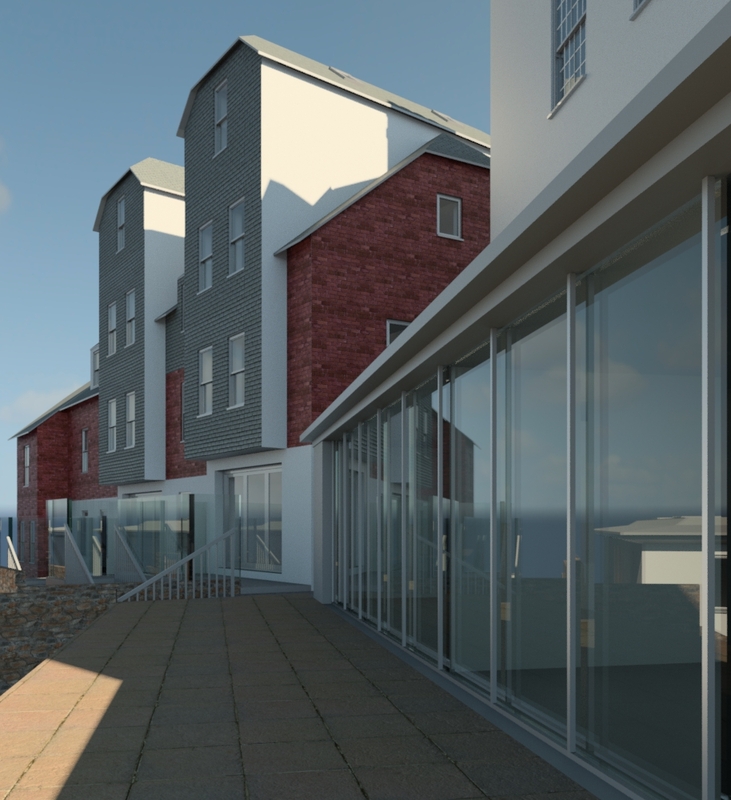 The redevelopment of this site and the former town house conversion, currently known as Tall Trees in Mevagissey, Cornwall, is an interesting and challenging brief. 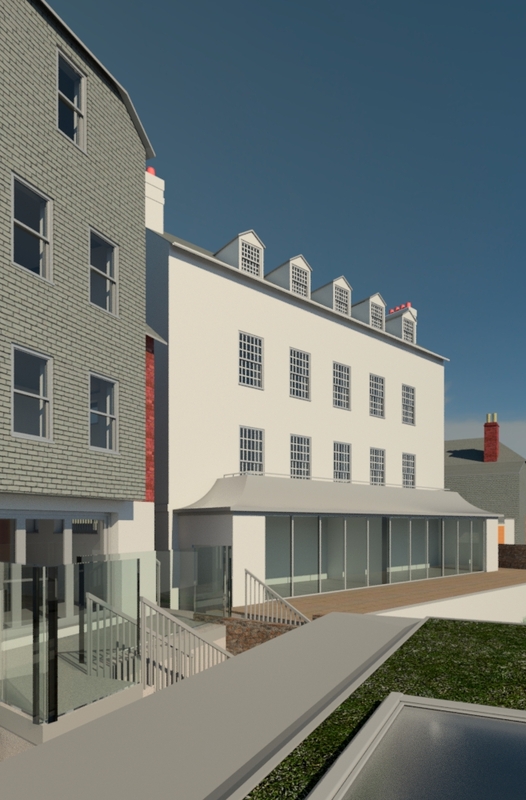 The steep topography on which this property is situated once formed the extensive rear amenity space for this grand town house, and later, the former hotel The Hollies in 2002. Currently Tall Trees and its extensive site is disused and left in a derelict state. Various proposals have been explored to address the complex, economic and contextual nature of this project. 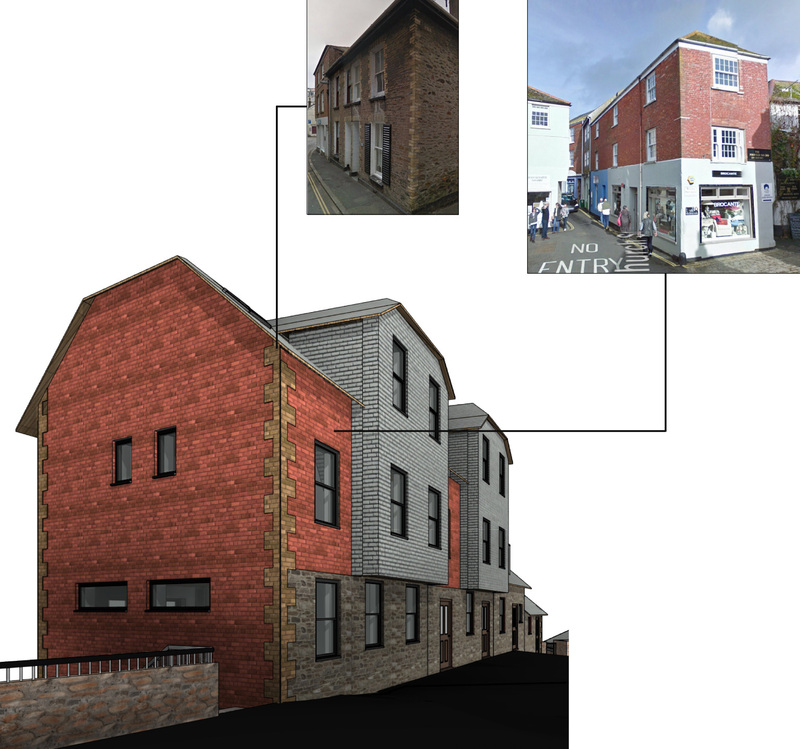 Following the Conservation philosophy to retain Tall Trees as part of any proposed development on the site, the current schemes include the conversion of the existing building to form two new three bedroom flats and three bedroom maisonettes. 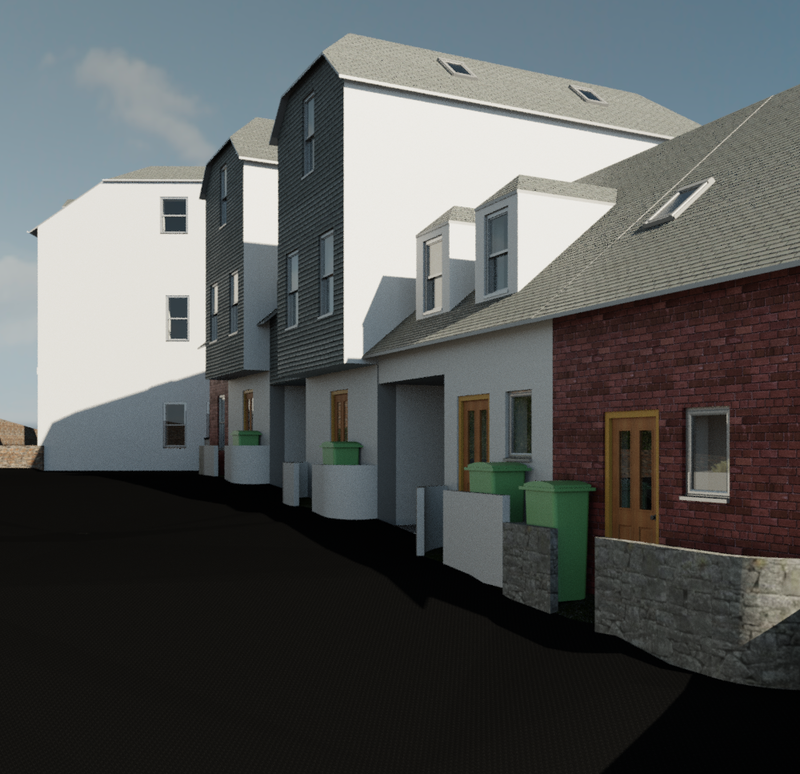 As part of the economics and viability of retaining and restoring Tall Trees to its former greatness, the scheme also includes a high-calibre residential development accommodating two new detached properties and five new contemporary affordable housing units overlooking the lower valley of Mevagissey. Improvement to the external envelope of Tall Trees includes replacement of certain features such as the existing flat roof dormers and dilapidated extensions. The new elements are contemporary and more apt to a period house of this type, and do not compromise the character of the existing dwelling. The new dwellings are bespoke and designed to be finished with the high quality materiality and workmanship expected within the conservation envelope. 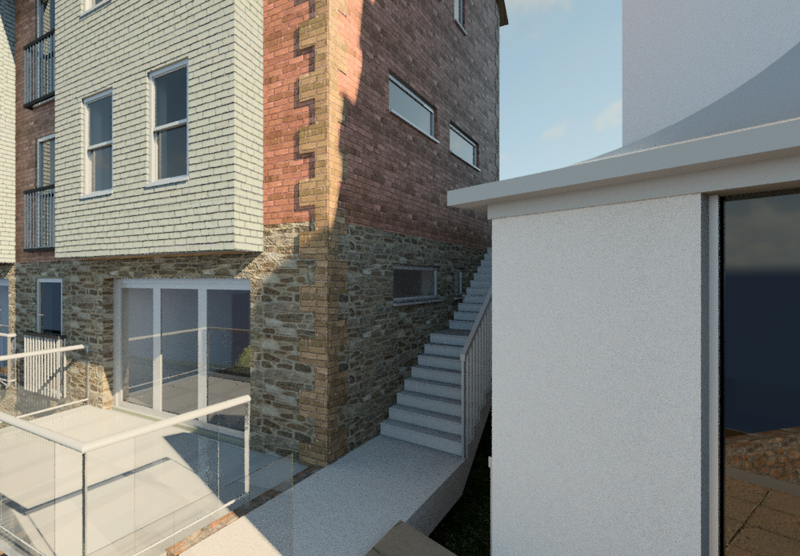 Contemporary self-build eco-home located in a conservation area in Fowey, Cornwall. The property is a detached Grade II Listed house which was originally constructed in c1710. This property stands on the site of an ancient Cluniac Priory. Little of the original building remains, although some early carved stones have been excavated by previous owners. 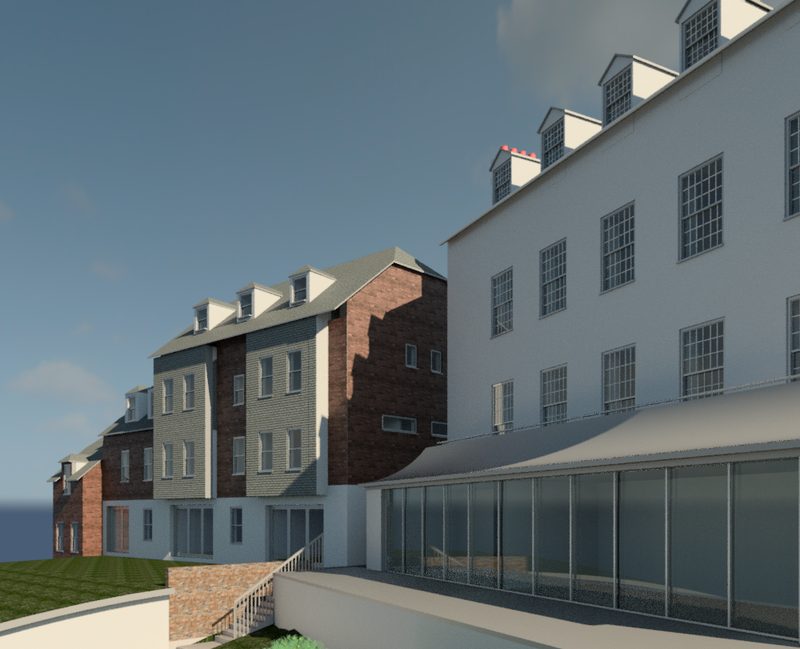 Whilst undertaking major refurbishment works around this Grade II Listed Building estate, the clients brief for this 'L' shaped set of buildings was for full conversion to dwelling of the two-storey apple/potato store, with the double height cow shed being converted into a meeting/function room.